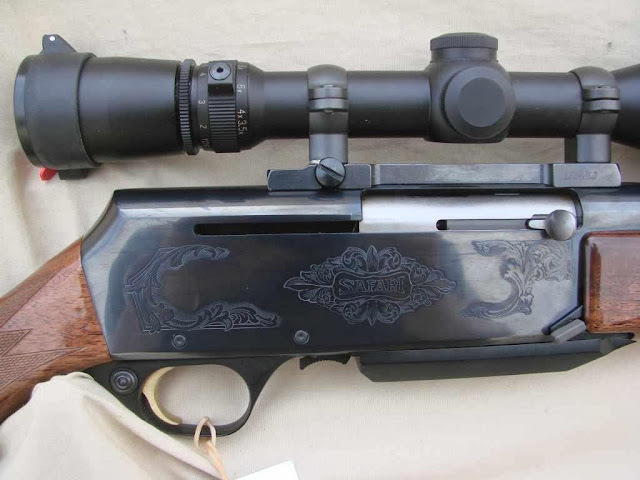 The Browning BAR Safari is available in .300 Win Mag and .338 Win Mag. Many consider it to be the only semi-auto suitable for big/dangerous game hunting. It's design dates back to WWII when it was produced in the standard 30/06 caliber for military use. 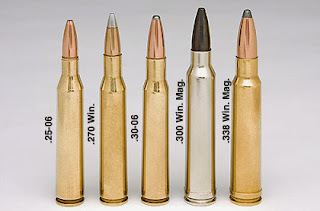 Safari standard calibers include the .22-250 Remington, .243 Winchester, .25-06 Remington, .270 Winchester, .308 Winchester, and .30-06 Springfield. 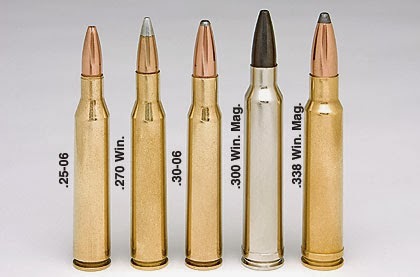 Magnum calibers include the .270 WSM, 7mm WSM, 7mm Remington Magnum, .300 WSM, .300 Winchester Magnum, and .338 Winchester Magnum. The Safari model has an engraved, forged steel receiver and a high gloss genuine walnut stock and forearm. It is a truly beautiful weapon and considered top of the line for a semi auto rifle.